Track supplied with universal wall and top fix brackets. Straight windows only, (no bays). Available in White only. 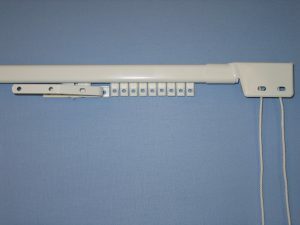 White cord weights (x2). Pre-corded telescopic steel track. Depth of track 20mm. Bracket projection 37mm to 62mm.